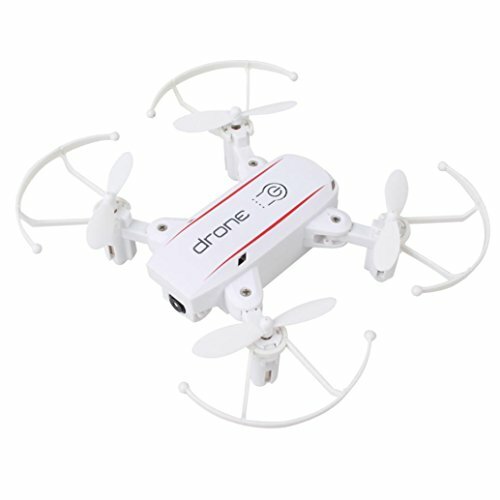  Drone Barometric height keeping，The drone flight is more stable，Take pictures more clearly  Wifi transmission system provides easy and fun FPV flight.  0.3MP camera can take photos and record videos.  With high strength metal material, and equipped with omnidirectional, multi angle protection anti-collision cover, the machine has a strong anti wrestling ability  Foldable design, portable and easy to carry.  Unique fuselage design and high quality painting, outstanding appearance.  Upgraded 2.4G 4CH transmitter for your easy control.  The latest 6-axis flight control system, provides super stable flight.  With headless mode, and one-key return care free to fly.  High/low speed mode and 3D flip function provide you cool flying experience.